During a typical month here at DL, we run through more Android apps than a normal human being can probably keep track of. Some are apps that received big, noteworthy updates, while others are newcomers deserving of a second mention in case you missed them the first time around. In order to hammer some of those home to the community, we have compiled five of our favorites from the month of January and put them in an easy-to-follow format to help get them installed on your devices. As I mentioned above, some are new, some are oldies-but-goodies, all are certainly worth a look even for a few minutes. By no means is PushBullet new, but thanks to an update this month, the app is now one of the most powerful and useful apps you will ever install on both your phone and computer. For those new, PushBullet began as an incredibly useful app that would allow you to “push” links, files, or other goodies from your computer to phone and then back again. We have watched as the functionality for it has grown immensely over the last six or so months, but this month its creators added notification mirroring. With notification mirroring, PushBullet will show a pop-up in your Chrome PC browser every time you get a notification from any app on your phone (assuming you enabled it). You can choose to dismiss it on phone, turn off mirroring from that app, or go on about your business. I don’t know about you, but the fact that I don’t have to pick-up my phone each time it buzzes, and can keep my eyes glued to my computer, plus wipe the notification from my phone, is freaking ground-breaking. Go install this. Here is the Chrome extension. You know we love a good icon pack and wallpapers, right? Lumos – from friend of the site KovDev – launched this month after running through a community-driven feedback beta period and is easily one of the best we have seen in a while. Using soft colors, matte finishes, long shadows for dimension, and subtle corner rounding make this look good with any home screen setup. Standing at almost 1,500 icons (with a handful of beautifully designed wallpapers too), you won’t have a problem finding the right icon. To keep up with all of the hottest icons and wallpapers, be sure to check out our Icons and UCCW series. 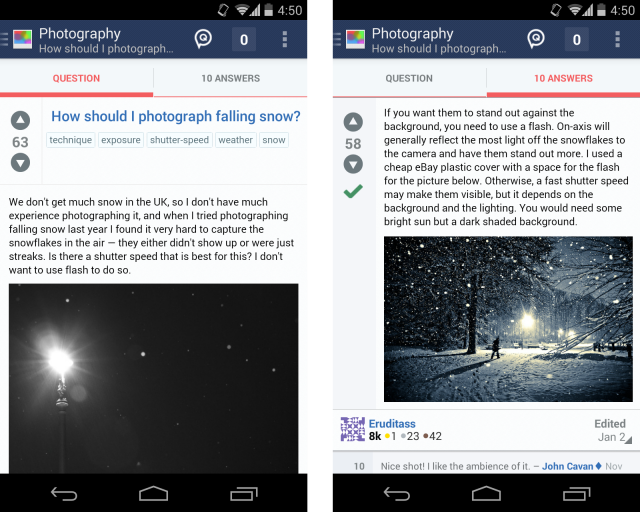 Stack Exchange, one of the best Q&A spots on the entire internet, released a beautiful Android app to Google Play this week. 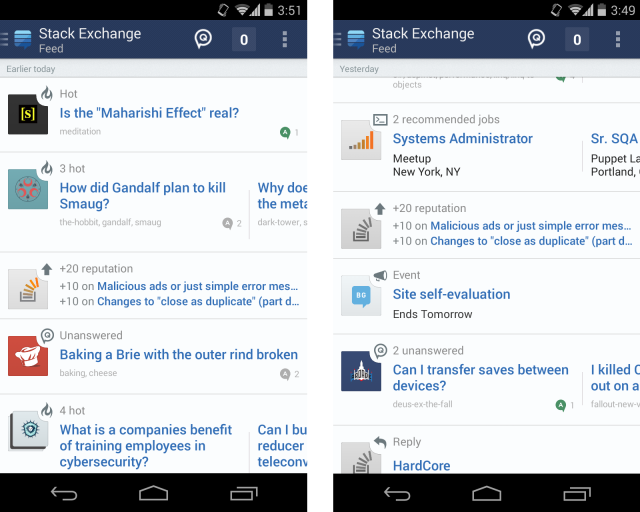 It brings all of the goodness of Stack Exchange right to your phone. You can pick from the 100+ communities that include everything from beer making to travel to Android, ask questions, receive answers from experts, and more than likely learn something along the way. Stack Exchange started out as a place for development and mostly geek type topics, but has grown into a Q&A community that covers almost any topic you can think of that you might need help with. The app is designed beautifully with its slideout navigation menus, swipeable columns, and full Stack Exchange experience. If you have yet to check out SE, it’s a place I’d recommend now that it has grown to include so many different community categories. I can’t even tell you how many times it has helped me solve a problem in life. Unless you won the lottery recently, I think it’s safe to assume that we all worry on some level about how much money we have to spend on a daily, weekly, or monthly basis. Level is an app that tries to keep track of your expenses so that you know exactly how much leftover cash you’ll have at all times for splurging on that new pair of Gucci loafers. Once your checking, savings, and credit cards are attached, everything should happen automatically. Go to the store and buy groceries; Level will update your remaining balance. The app automatically detects income and fixed expenses, has a dedicated tablet layout, and will “always” be free. Ok, Ok, so Beats Music may not even come close to making this list next month, but since there are free trials to be had for now, we figured it was worth including. We all love free stuff, especially new music services that aim to steal our attention, so why not give it a quick shot? Beats Music launched last week on Android, iOS, and Windows Phone as a project by the Beats Audio crew with help from all sorts of industry players. The app makes music social by allowing you to follow friends, artists, or curators, but also tries to put music you’ll need now at the tip of your fingers. Want a list of music while you steam up the backseat of your ride? There is a playlist of that. Want to know what Pitchfork is recommending at the moment? Playlist for that too. You can also build up a music library, subscribe to artist pages, share your music with friends, create playlists, and more. It’s a mostly full-blown music experience that will eventually run $9.99 per month if you aren’t on AT&T. Again, for now it’s free. 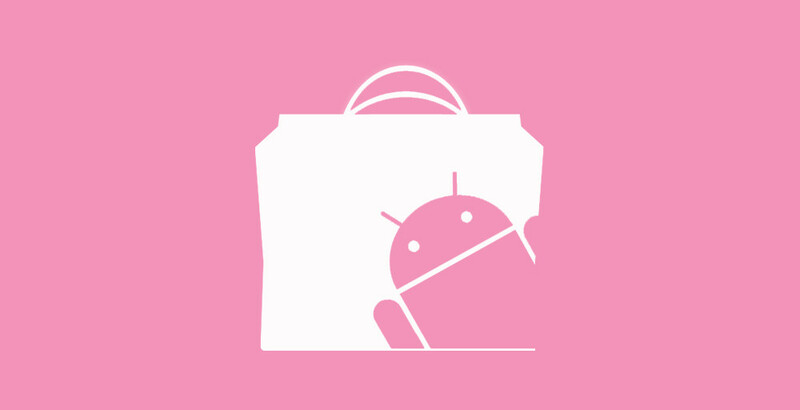 Be sure to check out the top 5 Android games of January!